Pantai Hospital Ayer Keroh is a multi-specialty hospital in Malaysia, and is amongst the renowned hospitals of Parkway Pantai Limited (Pantai Group). It is a 229-bed hospital with first-rate outpatient, inpatient and critical care facilities among all the important specialties including Dental services, Cancer centre, Cardiac surgery, Pediatrics, renal medicine (Hemodialysis) and Emergency department. The hospital, along with top-notch infrastructure and cutting edge technology, has more than 80 specialists backed by international training and vast experience in their field of expertise. The first private hospital in Malaysia’s southern region to be equipped with Elekta Synergy - IMRT (VMAT) Linear Accelerator (LINAC). Cancer center is facilitated with ultra modern technologies for IGRT, IMRT (LINAC) for targeted delivery of radiation making the radiation therapy more precise and accurate. The Imaging Unit is equipped with Conventional & digital X-Rays, 64-slice CT Scan, 128-slice CT Scan, 1.5 Tesla MRI, Digital Fluoroscopy, Fibroscan®, Bone DEXA, Ultrasounds, Lithotripsy and Analogue mammography. Modern OTs equipped with standard air-fliteration techniques and high-tech patient support sytems required for the surgery. Fully equipped Catheterisation Laboratory with advanced visualization and surgical techniques for various cardiac interventions. Well set up Hemodialysis and Endoscopic Units with cutting edge technology and systems operated by trained experts. 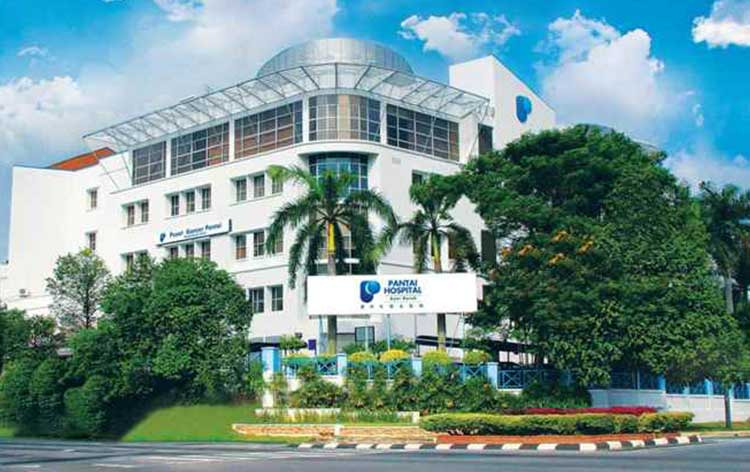 Pantai Hospital Ayer Keroh offers excellent quality clinical care at a reasonable price range and is therefore, becoming a popular destination choice for medical tourism by patients from various parts of the world. Nearest Airport: Melaka Airport which is around 7.2 Km away from the hospital and it takes about 10min to reach the hospital. And Melaka International Jetty is10 km from the hospital. Pantai Hospital Ayer Keroh performs 338 different procedures. Click on a procedure name to see more details and to view doctors for that specialty. 4.5 average based on 53 reviews.